Compatible with all liner system rugs where you see the liner icon. Maximum warmth with minimum weight for every rug. Made with polyester outer and lining. The Vari-Layer® liner adds more warmth with less weight for all your liner compatible rugs. 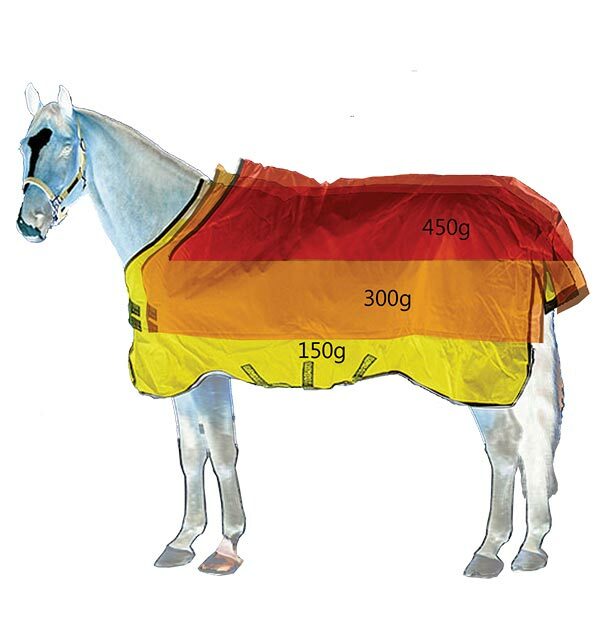 A simple system, Horseware® liners give your rug superior insulation properties without the need for 2 rugs. The liner attaches by Velcro loops to the neck area of the outer rug, and clips onto the back corners to prevent the liner from slipping. Liners can be easily washed in a domestic washing machine. The fit of your rug is extremely important to ensure the comfort of your horse and to prevent rubbing and rug slippage. 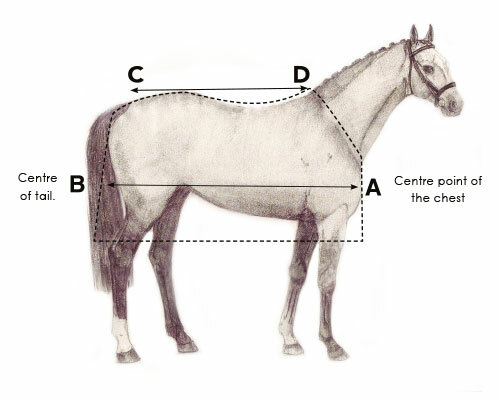 As horses of the same height at the wither come in a variety of shapes and sizes, it is useful to take certain measurements of your horse. Bear in mind that every horse is different and that this table is a guide only. We have many different styles to suit all shapes and sizes.